For commercial quantities a quote will be provided. Are your products suitable for new vehicles? Yes. The sooner they are used, the sooner they start protecting your vehicles, and the longer they’ll last and stay at peak performance and efficiency. Generally, start using the AW10 Antiwear after the first oil change in engines to allow some initial bed it to occur. For all other components, AW10 can be used from new. Click here to find out more … Why use CRD fuel enhancer in a new vehicle? Are all CEM products Australian made? All but two are Aussie made. The Provent 200 is German made, and the bench mark for oil catch cans. The RMI-25 Cooling System is a stand-out American product. Will any of your fuel products settle out from the fuel? No. They all mix easily and will not settle out. What have you got to improve fuel stored for long times? Both Cleanpower and CRD Fuel Enhancer reduce fuel oxidation and degradation, and resultant fuel system fouling. In addition FTC Decarbonizer can also be added to assist in burning aged petrol and diesel cleanly, as well as protecting against diesel bug. 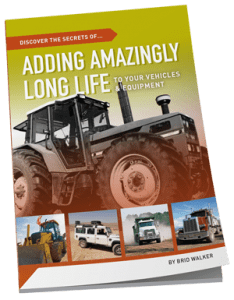 Have you got a product to kill the diesel bug? Yes…FTC Decarbonizer is a genuine biocide and a lot safer to use compared to some other biocides. It will kill diesel growths (bacteria, fungi, algae) quickly, and most importantly will little or no fuel filter plugging issues. 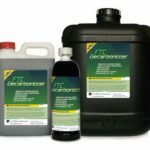 Can I use FTC Decarbonizer and Cleanpower (or CRD Fuel Enhancer) together? Yes! They do different jobs, and it can be advantageous to use them together. Cleanpower and CRD Fuel Enhancer can be used with the FTC Decarbonizer (No need to use CRD and Cleanpower together). 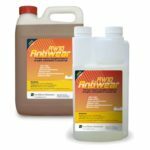 What is the difference between Cleanpower and CRD Fuel Enhancer? Cleanpower is suitable for all petrol and diesel applications. CRD Fuel Enhancer is developed from Cleanpower by fortifying with strong lubricity and corrosion control chemicals to suit the modern breed of diesel engines. It can be used in all diesels, but is not suitable for petrol engines. 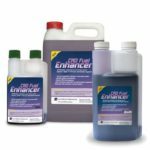 What does CRD Fuel Enhancer do? CRD Fuel Enhancer, cleans, lubricates and protects common rail diesel fuel systems. Not only does it clean and restore failing injectors it also boosts diesel lubricity. 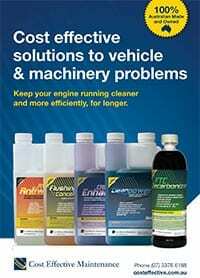 Cleanpower is suitable for both Petrol and Diesel engines. Designed as a full fuel system cleaner, cleaning fuel lines, pumps and most importantly injectors. What does FTC Decarbonizer do? FTC Decarbonizer will effectively burn off carbon from combustion and exhaust spaces. Perfect for deglazing engines, maintaining Turbos, EGR’s, DPF’s, stopping smoke and restoring power. CRD: If sever overdosing occurs there is minimal risk of any engine fault. There is a slight possibility of a little white smoke out the exhaust unitl the ratio returns to recommended dose. In extreme cases refuel the tank more regularly to help return to correct dosage recommended. Cleanpower: No concerns with overdosing. Flushing Oil Concentrate: No concerns with overdosing. FTC Decarbonizer: No concerns with overdosing. AW10: If extreme overdosing occurs replace oil and AW10 to recommended levels. CEM products are highly concentrated liquids exceeding recommended dosage is unnecessary. Yes. The sooner they are used, the sooner they start protecting your vehicles, and the longer they’ll last and stay at peak performance and efficiency. Generally, start using the AW10 Antiwear after the first oil change in engines to allow some initial bed it to occur. Why do I need to use “New / Clean oil” when using the Flushing Oil Concentrate for the first time? The cleaner the oil the better the result. Some engines may have a very large accumulation of sludge to remove. Can Flushing Oil Concentrate make my engine use oil? In most cases, Flushing Oil Concentrate reduces oil use markedly by providing a clean seal for piston rings against ring grooves and the cylinder walls. Very few exceptions occur unless severe wear or damage exists. We do recommend care when flushing petrol engines from the 1980’s and earlier. They are more likely to burn oil if they have had a poor maintenance history. Can Flushing Oil Concentrate harm my engine? Some other flushes use solvents to clean, and these could have the potential to adversely affect seals, O-rings and other elastomers. Flushing Oil Concentrate is much safer! 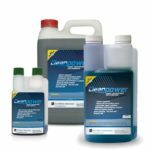 It uses a detergent type product as all engine oils do, however it targets heavier deposit molecules such as hard baked on carbon and heavy persistent sludge as well as easier deposits. 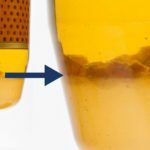 What does Flushing oil Concentrate do? 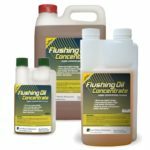 Flushing Oil Concentrate is a detergent based oil system cleaner capable of dissolving and removing the most stubborn carbon and sludge that can be responsible for causing oil consumption, smoke, blow by, power loss and other problems. It is suitable for petrol and diesel engines. Can I use AW10 Antiwear in an automatic transmission? 1% Ratio 10 mL per litre of transmission fluid. What does AW10 Antiwear do ? AW10 Antiwear is a powerful anti-friction, anti-wear treatment for engine, gear, differential and hydraulic oils. It also provides excellent anti-rust protection. May not be suitable for wet clutches. Does RMI-25 have any other advantages over glycol type coolants? 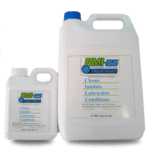 RMI-25 is highly concentrated and much cheaper than glycol types. Unlike glycol, it is non-toxic and environmentally safe. What can I do about electrolysis and corrosion from stray current? RMI-25 strongly retards electrolysis and prevents corrosion and also provides lubrication for heater valves and water pump seals. When using the RMI-25 Radiator Flush do I need to refill with Coolant/Glycol? No, the RMI-25 is a complete cooling system package. Most Australians do not need anti-freeze, but where it is required, add some glycol to the system as well. Is RMI-25 safe with hoses? Yes. It passivates rubber resulting in longer hose life . What does RMI-25 Radiator Flush do? RMI-25 is a concentrated additive designed to clean and protect your radiator while you drive . The RMI-25 dissolves rust and scale while lubricating the water pump.